Today we're sharing one word substitution bilingual. This PDF is prepared by OnlineMentors. 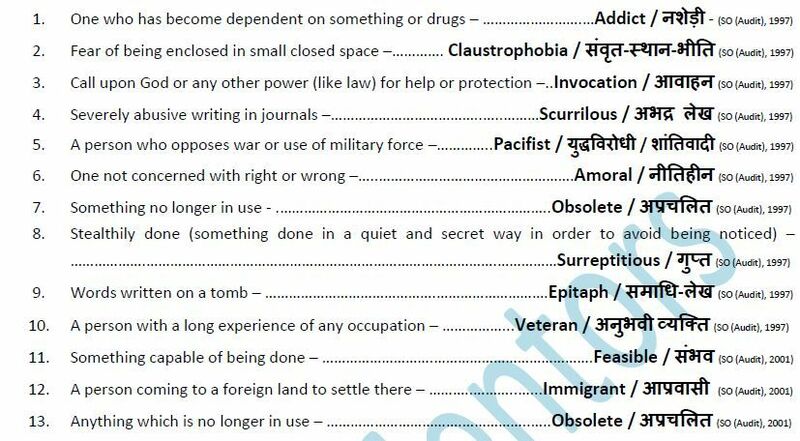 In this document onlinementors compiled ONE WORD SUBSTITUTION asked in various exams held by SSC. Some One word substitutions have been repeated as they were asked multiple times. Disclaimer: iascgl.com neither created these files nor uploaded, We shared link which is already available on Internet, if anyone has any objection then kindly e-mail us @ iascgl.lb@gmail.com to request removal of the link.